Do you believe in yourself 100%? Confidence is the feeling of believing in yourself – totally and completely. 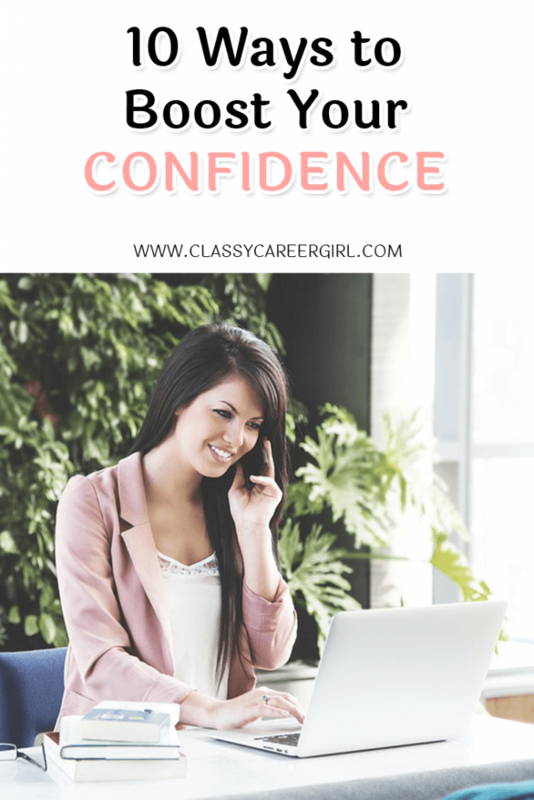 Healthy self-confidence is at the core of achievement, success, and, yes, even happiness! Confidence builds the foundation for you to set boundaries, take risks, try new things, and stand up for yourself, and when you have confidence, life is more enjoyable! So let me ask you, do you want to believe in yourself? Do you want to be happy? Do you want to love your work and get paid what you’re worth? Keep reading if you answered yes to any of these questions! Confidence doesn’t come from what you look and feel like on the outside, or from outside validation. Confidence comes from within. Your core beliefs determine your self-worth. You can choose and create a new belief about you- and you are great! Whether you are lacking self-esteem or need a just a small nudge in the right direction, here are some ways to boost your confidence. A fun challenge is to make a list of your best qualities. Write it down on paper to fully experience the awesomeness of you! Write it in color. Draw pictures. Make it uniquely you. If this exercise is difficult for you, start by asking others for help. Ask a trusted friend to help you brainstorm your strengths. Use this brainstorming session as a starting point and keep adding to your list! No one is perfect. I repeat, no individual is perfect. Perfectionists, you’re off the hook! We all have limitations and you can better utilize your strengths when you are aware of your weaknesses. Your weaknesses don’t define you, they are simply the boundary between what you can and can’t do. You can’t be it all or do it all and that’s okay. Besides, your limitations make you accessible and approachable to others so don’t hide who you are- embrace yourself! “Should” is an ugly word and I want you to strike it from your vocabulary! Should implies blame and shame. There is nothing in life you “should” do to be a good person and enjoy a happy life. There are things you can do to improve your life, and it’s always your choice. Instead of “shoulding” yourself, try replacing should with “choose”. I choose to go to the gym. I choose to eat healthy. I choose to make choices that support my future. Many people have learned to exaggerate thoughts and feelings, which leads to worst-case-scenario thinking that accompanies low self-esteem. A feeling isn’t true just because it feels true, and very few situations in life as bad or as good as we give them credit for. A balanced, honest self-image allows for healthy self-confidence! A sure way to build confidence is to tackle a challenge! Whether or not you succeed is less important than challenging yourself and learning about you in the process. If you succeed on your first try, you’ll know you can do it! If you don’t succeed at first, you can assess what you learned and try again. Succeeding after failure is a bigger confidence booster than succeeding on the first try! Acknowledge your accomplishments! Celebrate your wins- big and small! Make a list of everything you did great each week, or even each day. As you celebrate your wins regularly, you’ll find you have greater confidence, motivation, and energy. What you tell yourself is more important than what others tell you. You believe whatever you tell yourself, so tell yourself something positive about you! You may not be able to stop negative thoughts from popping up from time-to-time, but you can interrupt this pattern by consciously thinking two positive thoughts when you catch yourself thinking negatively. Better yet, say your positive self-talk out loud. Say it to yourself in the mirror. It may feel strange at first, but with practice will begin to feel great, and you’ll feel great! When accepting a compliment, avoid qualifying or negating the compliment, such as saying “oh, it was nothing.” Chances are you deserve the praise if you’re receiving it! How you treat another person tells that person how you feel you deserve to be treated in kind. Treat others with respect, compassion, kindness, and honesty and it’s far more likely they’ll return it to you. Treat yourself at least as well as you treat other people, and practice self-kindness. Be patient, considerate, supportive, and loving. If this is difficult for you, imagine how you would behave towards a loved friend or family member, and show that same kindness to you. If you’re still struggling, picture yourself as a 6-year-old child and be as patient and kind with yourself as you would with a child. Comment on this post and share your strengths or celebrate a win! Chrysta Bairre, creator of Live Love Work, is a writer, speaker, and Happiness Coach. She helps professionals and entrepreneurs find happiness in the life they have so they can create the life they want.